Twenty years from now you will be more disappointed by the things you didn’t do than by the ones you did. So throw off the bowlines. Sail away from the safe harbor. Catch the trade winds in your sails. Explore. Dream. For years, Julie and Brenda joked about joining forces. Meeting in 2004 at an interest group for Occupational Therapists working in Auto Insurance, Julie and Brenda started collaborating about OT, business, and the insurance industry. When Julie started her business (Entwistle Health Solutions) in 2005, Brenda was both supportive and encouraging. Then, in 2007, Brenda started Power Occupational Therapy Services and Julie was quick to help through the sharing of resources and insight. Over time, Julie and Brenda continued to liaise as colleagues and friends, despite being key competitors in a challenging industry. Eventually, Julie’s MBA training provided her with the knowledge and confidence to suggest a new journey – join the two companies and benefit from the synergies, opportunities, and collaboration that would result. 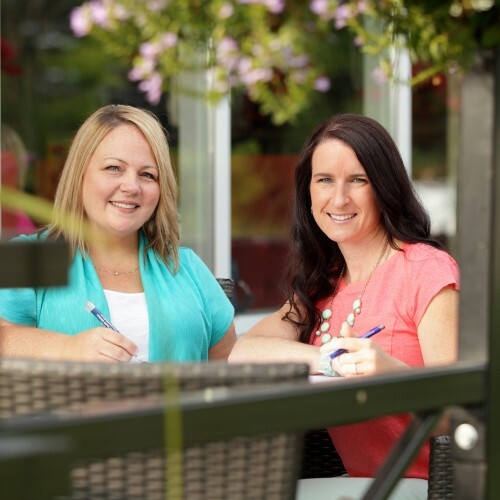 With similar business philosophies, client-focused approaches, passions for the profession, leadership abilities, and critical thinking skills, Julie and Brenda knew a combined venture would be successful and definitely more fun. Entwistle Power Occupational Therapy has high aspirations to educate the public about the wonders of occupational therapy, and to help our clients to achieve their functional goals.